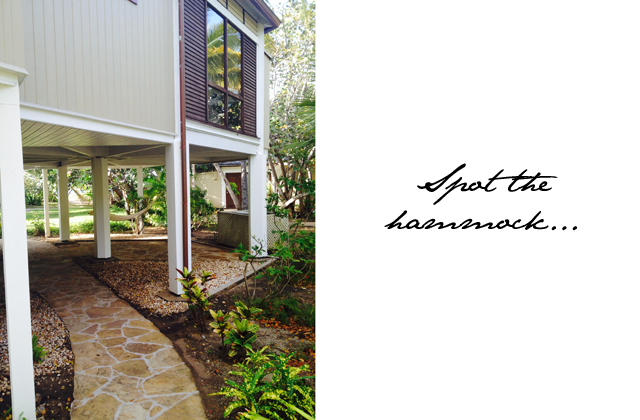 What does a day look like at Rosewood Little Dix Bay? 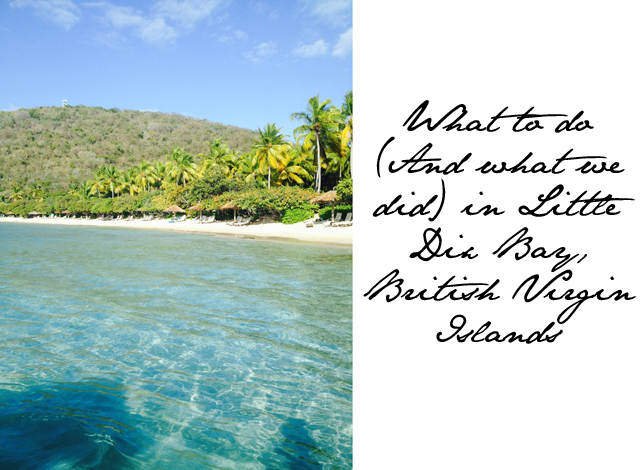 You had to know I wasn't going to stop with just one little piece of insight into Rosewood Little Dix Bay in the British Virgin Islands. Sure I can write until I'm numb in the fingers about how beautiful the property is, how peaceful and serene the location, how every single moment at Little Dix Bay makes you wish that holidays lasted forever. Ok, wait a minute I'm getting carried away again. What I really wanted to focus on was what to do while you're in Little Dix Bay. I used to be the sort of holidayer that quite simply laid like a roasting chicken on the beach, turning occasionally to make sure that I was cooked evenly on both sides. Apart from that, I wasn't going to do much moving. Who am I kidding, I'm still exactly the same. However, Little Dix Bay has a way of making you think you are actually doing so much more than just laying on the beach. They're tricky like that. For example, you don't have to stay on the beautiful beach at Little Dix Bay to get your super suntan. 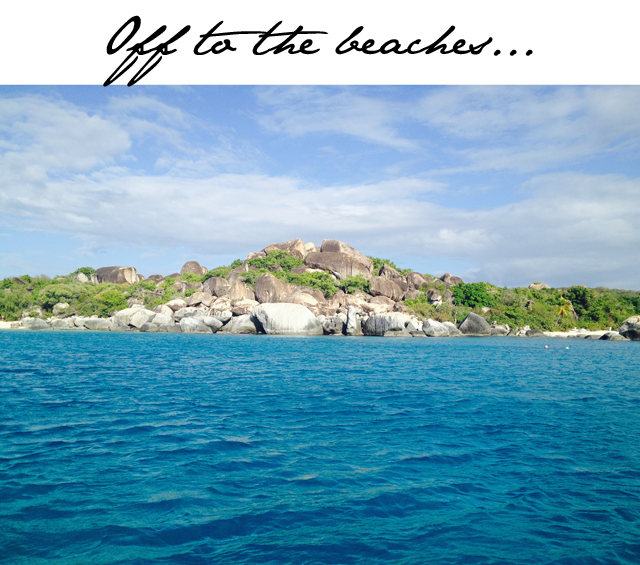 During the day, Little Dix Bay will happily transport you to any of seven luxurious beaches around BVI. Not only do they take you to the neighbouring island beaches, they also set up chairs, umbrellas and a full picnic for you at said location. It's like having your own personal beach concierge. Seriously, where do I sign up for the job where I simple accompany everyone on this excursion each and every day? Here's where we visited on the first day in residence. The glory here is that you're tanning the whole way there with wind in your hair on the boat. Then, upon arrival, you simply slip into the water and marinate as the beach is setup for your arrival. Such a hard life, I swear. Now, upon returning to Little Dix Bay, after your deserted island swim, you might still be a bit peckish. Perhaps the large picnic with glorious tropical fruit and bubbly wasn't enough to satisfy your appetite. Never fear, as afternoon tea is here. 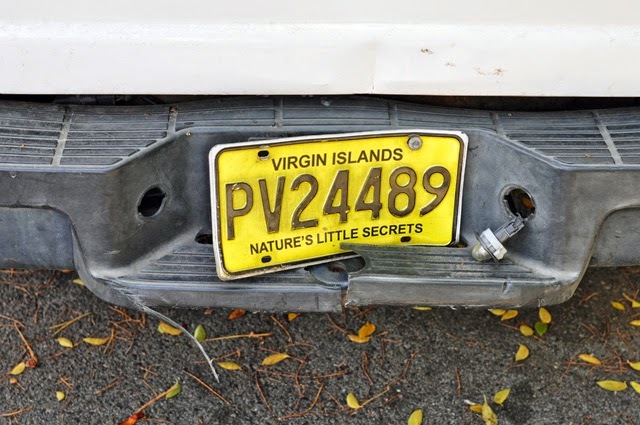 Yes, in the British Virgin Islands they take their tea very seriously and so does Little Dix Bay. They give you the full spread from clotted cream and scones to tiny cucumber sandwiches. With a full belly, you might be tempted to go back to the room and veg. Can't say I'd blame you. Sometimes you need a turn out of the sun with a good book and some fan action. Now here's where Little Dix Bay truly surprised me. I cannot tell you the number of times I've ended up in a beautiful resort sitting inside watching the Real Housewives on Bravo while trying to recover from eating or drinking too much sweet stuff. It's my dirty little secret. However, I wasn't once in my treehouse suite for any downtime during the day. It wasn't for a lack of luxury within the space. I just couldn't bring myself to stay inside. I blame the hammock hanging under the treehouse. When you have a swinging hammock just below your bed, that overlooks the ocean, you can't say no. So the Real Housewives were replaced by lapping waves and a hammock swinging so softly that I was sound asleep within minutes. 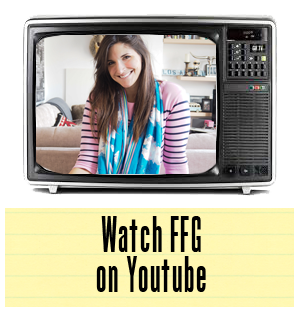 Oh, and it should be mentioned that I couldn't have watched the television even if I wanted to. There aren't any TVs in the room. 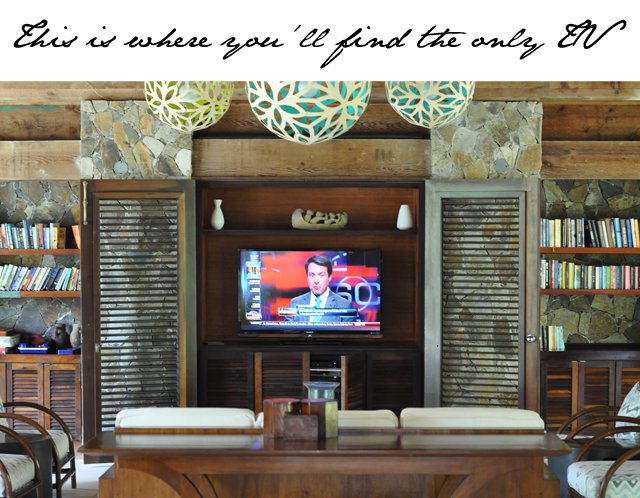 If you want the privilege of an out-of-Little-Dix-Bay visual experience, you'll have to go to the main den in the resort. Here you'll find the only TV in the bay and it's mainly a news source. No one at Little Dix Bay wants to hear the shrieking voices of Beverly Hills Real Housewives, right? Now, let's move onto a place of true spiritual serenity... The Sense Spa at Little Dix Bay. Where to start, where to start... Ok, let's start with the pool. This isn't your average spa space. Remember when I said the first thing I spotted on the resort was a spa, mistakenly thinking it was a house set high above the hills with a private beach? 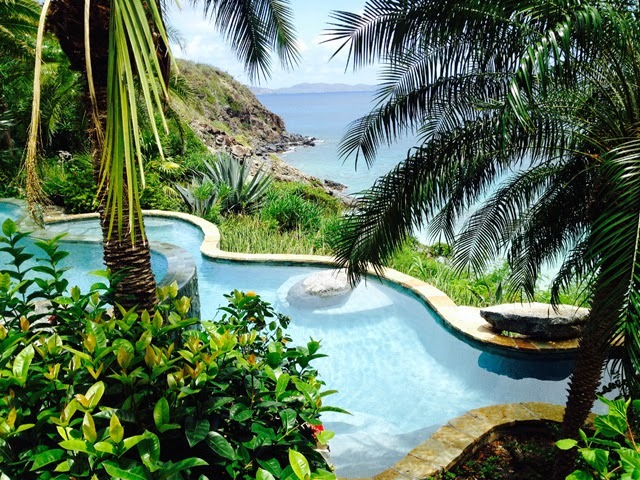 Well, this space doesn't just offer one of the best spas in the BVIs, it also has a double infinity pool that puts most millionaire's properties to shame. 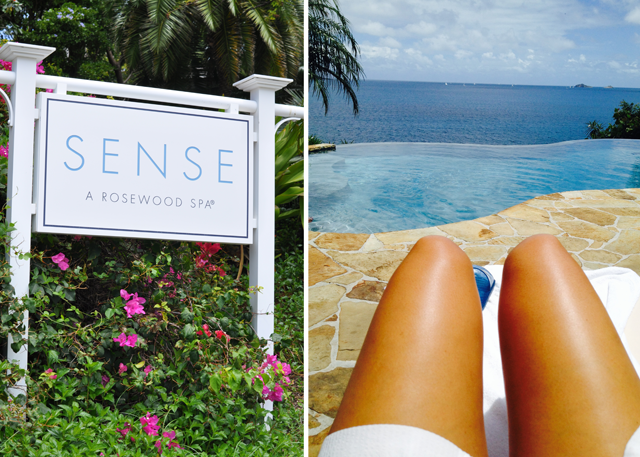 I went into the Sense Spa for a full body wrap, which left me soft, refreshed and beyond relaxed. When I came out, I quite literally glided into the whirlpool that is hidden in the trees next to the infinity pools. I let the bubbles take me away and vowed to get up and move at some point. Getting up and moving shouldn't have been that difficult in the end as it just meant moving five feet to the neighbouring pools. However, when you're this relaxed, even the slightest movement feels like you are moving the earth itself. Now, as for extra-special activities at Little Dix Bay beyond tanning, beaching, hammocking and spaing, you will want to make sure you sign up to do two things. First, take the sunset cruise. 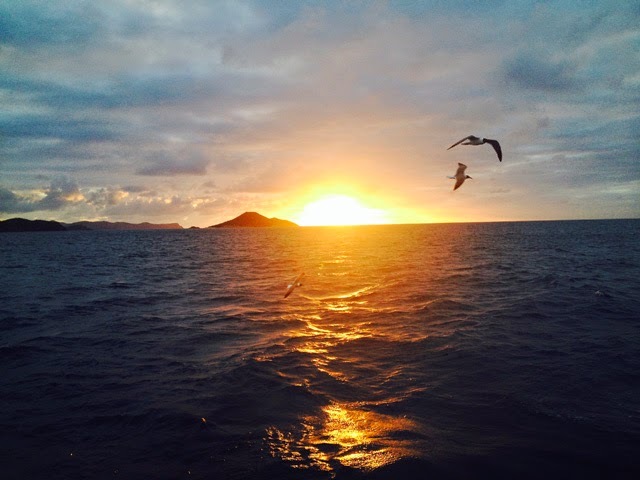 While sipping rum punch and snacking on cheese and crackers, you are led around the islands of BVI and swung back around towards Little Dix Bay just on time to see the beautiful sunset. As for the next activity, you'll need to book this in advance. 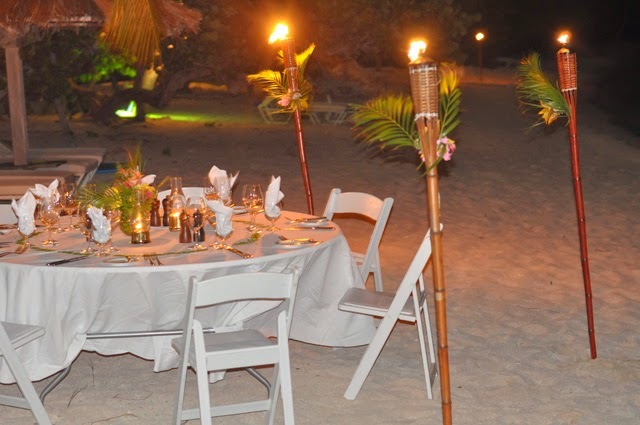 Do not visit Little Dix Bay without having dinner on the beach. Sorry about the rubbish pictures herewith. I tried my best to capture this moment, then gave up and decided I needed to live it, not photograph it. 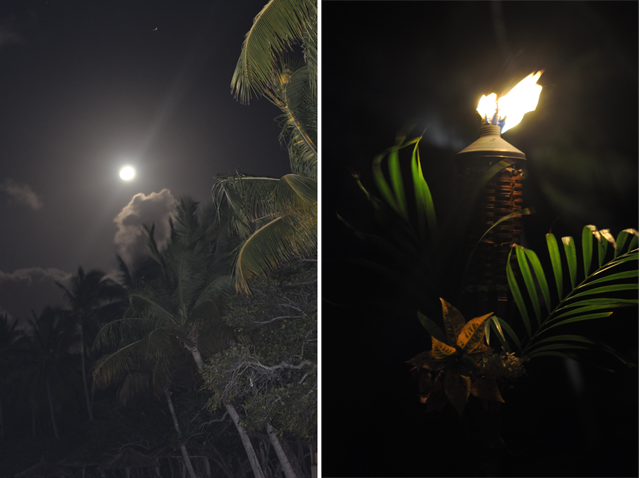 We were placed directly in the path of the rising moon, which lit our table along with the dozen or so tiki torches surrounding our space. I feel it's cruel to go on. 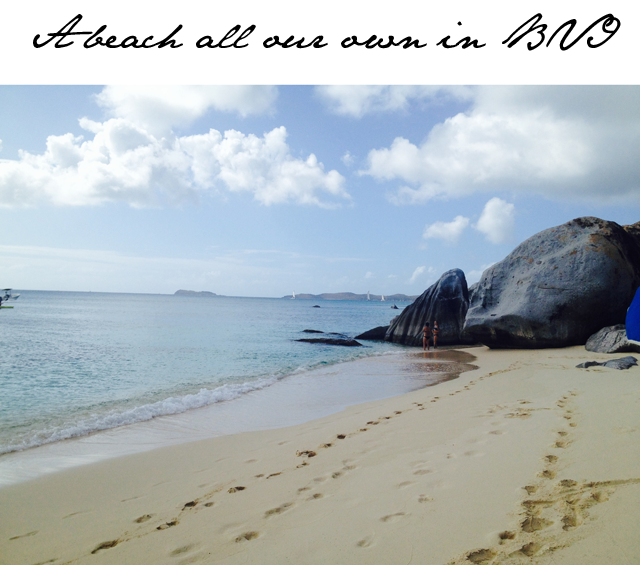 I want you to have some things you discover on your own here at Little Dix Bay. Bottom line - put it on your bucket list. If paradise on earth exists, it's found here. Fashion Foie Gras was a guest of Little Dix Bay.